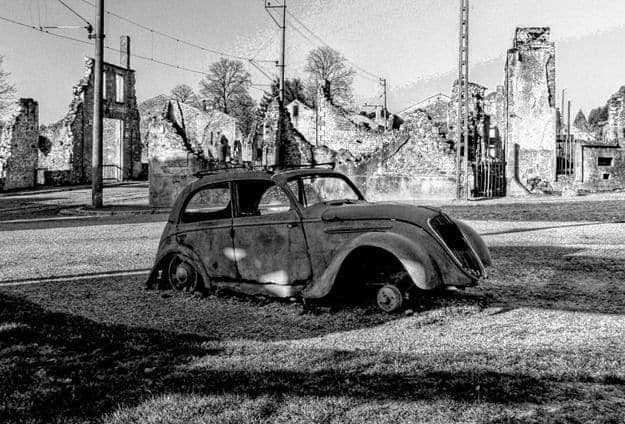 On the 10th of June 1944, four days after D-Day, a retreating German SS Panzer division entered the town of Oradour-Sur-Glane in the Haute-Vienne region of France and killed 642 men, women and children. This was essentially the entire population of the town. This was the worst civilian atrocity carried out in France during World War II. 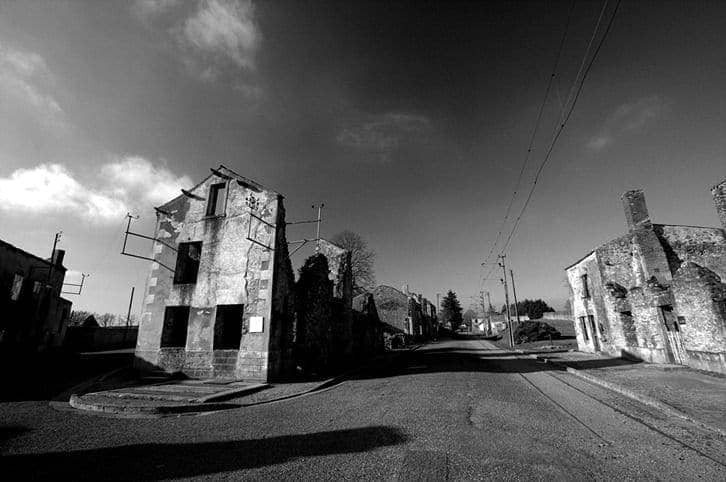 Oradour-Sur-Glane has been preserved in the state that it was left in on that day, as a memorial to the hundreds of civilians who lost their lives. 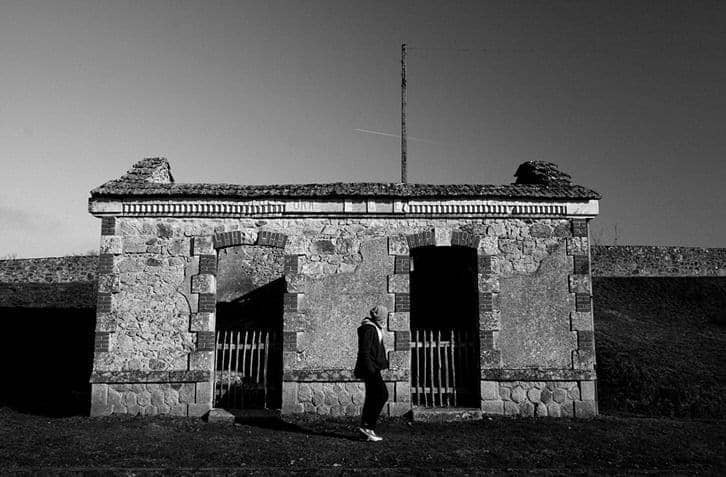 We took a visit to Oradour-Sur-Glane on a gloriously sunny winter morning, to see what had been left behind. The first thing that struck me, walking down the gutted and empty streets to the sound of birdsong, was quite how large this village had been. This was no backwater hamlet. This had been a thriving town. A tram line ran down the centre of the street, and there were countless houses on either side, and on the side streets leading away. So often when I have heard about war atrocities, the numbers involved are unimaginable to my mind. How can I imagine six million – the number of Jews killed during the Holocaust? It’s just so big of a number that it stuns my imagination. It becomes almost unreal. Even 642 is a tricky number to put into perspective. Visiting Oradour-Sur-Glane brought that number to life for me. The houses are labelled. Some labels state who used to live there. Other depict the function of the building. There were cafes, butchers, bakers, hairdressers. A school. An entire community of people, who up to the 10th of June, had no doubt been hoping to get through the war alive. The very human nature of the village is what is perhaps so striking. This is no concentration camp designed from the outset for mass murder. This was a place where people lived out their lives, where families were raised. That is incredibly apparent, even sixty years on, and it is terribly moving. The reasons behind the events of the 10th June are not entirely clear. It seems there may have been a misunderstanding, that the village was mistaken for another village, thought to be harbouring resistance fighters. Personally I think trying to apply reasoning to acts like this is folly of itself. There can never be a reason to murder this many people in such a brutal manner. At the end of the village street, which runs for about two thirds of a kilometre, is the village church. This was where the most unspeakable of acts was carried out. Into this church were herded the women and children of the village. Of the 241 women and 205 children who were herded in, some only weeks old, only one made it out alive. The rest were first gassed, then shot, then burned. 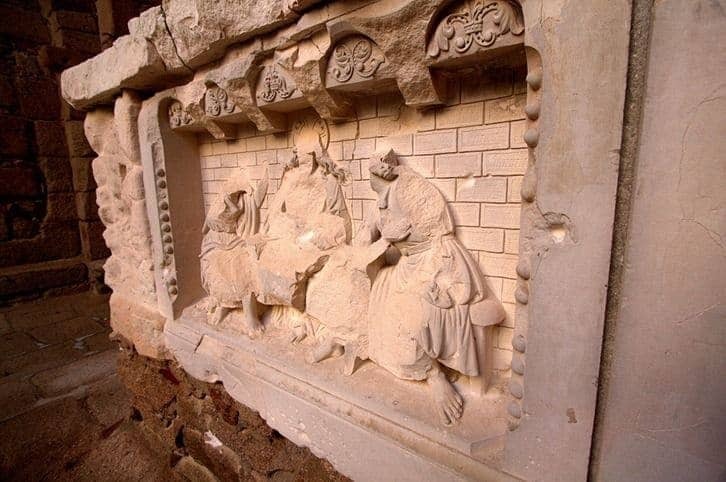 Today, the only obvious visual reminder of this atrocity are the bullet holes in the church walls and altar. Within the village grounds, by the cemetery, sits a memorial, where personal artefacts and the stories to accompany them can be found. The cemetery holds all that is left of the towns inhabitants, as well as a wall listing all the victims. 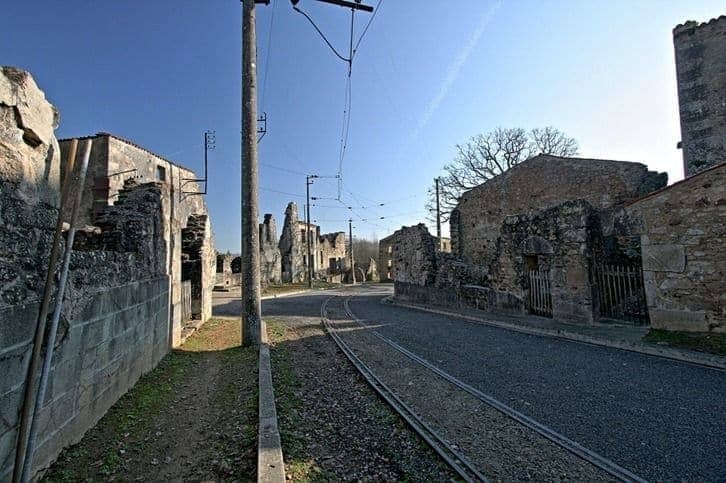 Just next to the original town of Oradour-Sur-Glane is the new town. Walking around here was another difficult experience. It’s another town, full of life and people. But for the acts that occurred on the 10th of June 1944, this town wouldn’t be here as it is. The dead village is the one where, were the world a kinder place, the streets should be alive and vibrant. I don’t really have brilliant closing words for this post. War is clearly a terrible thing. And it’s not something that has gone away in the time since this tragedy. I’m just lucky to live in a time period where the countries I live in are relatively peaceful. 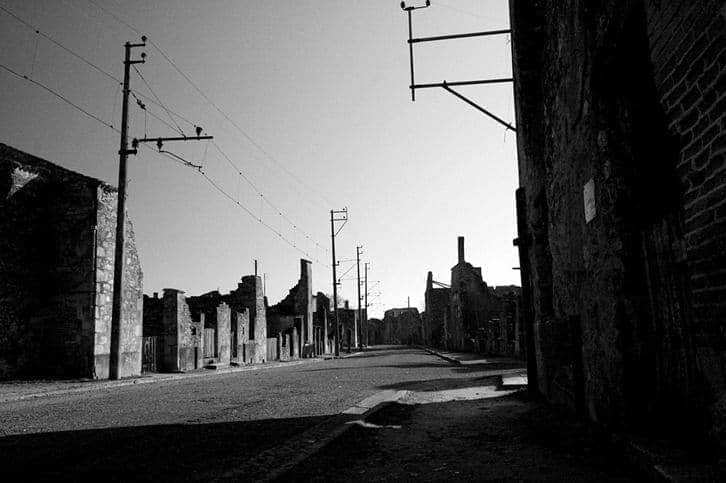 Visiting places like Oradour-Sur-Glane help remind me of that fact. Thanks for reading, and as always, do share your thoughts in the comments section below. Well your parents certainly made us welcome and more…… Their campsite is just so tranquil and just what we were looking for. Travelling around, the Dordogne and seeing it’s beautiful landmarks, (too many to see in 10 days), meeting interesting people and hearing their stories, the whole experience has been perfect. I shall continue to watch and read “Finding the Universe” ……..
We’re so pleased you had a good time, and yes, Manzac is a pretty special place 🙂 I’m pleased you visit Oradour, it’s a place that needs to be visited for sure, even though it’s a sad experience. Happy you enjoyed your time in the Dordogne! What a very small world, I got goose pimples as I read down through your comments and discovered you are coming to stay with us at Manzac. looking forward to meeting you both on the 20th! Me & my partner are camping in France very soon and I have been looking for places of interest to visit. 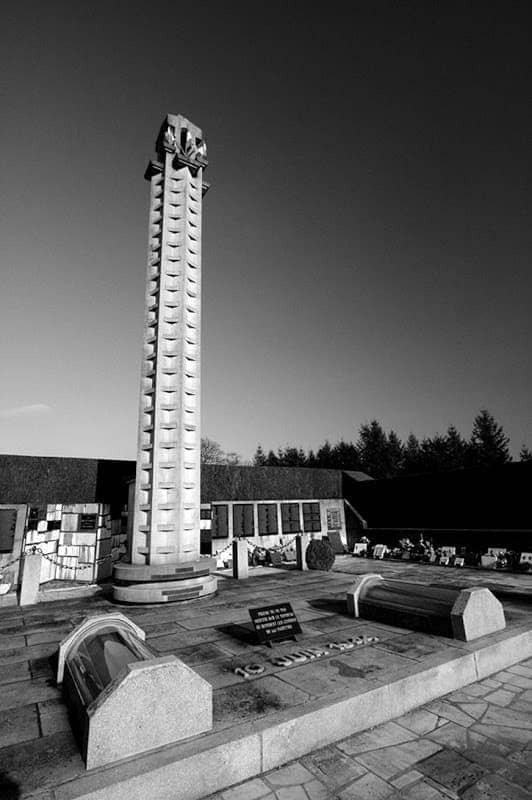 Since my first visit I have become interested in French history and found “you” when reading about ORADOUR SUR GLANES. 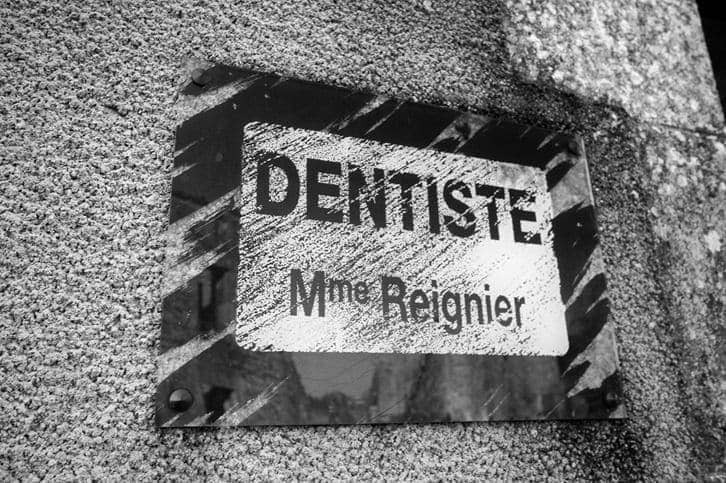 Your article A VILLAGE OF DEATH AND MEMORY IN FRANCE and photo’s were moving and we will be visiting this village with anticipation of tears and goose pimple, hair on arms standing up moments! I also read about you and Jessica and befriended you on Facebook. I shall read and follow with interest. People often say “if I had my time again I would……….. ” My wish would be TRAVEL and see the world, grab every opportunity to experience something new……. 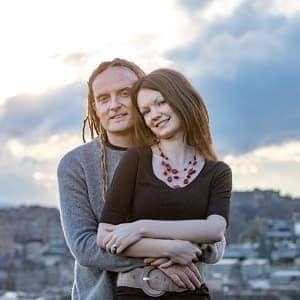 Looks like you two were meant to meet and have a near perfect, happy life and it’ll be great to share your experiences and sights through your writing and photo’s. What a small world, I can’t believe it but your parent’s campsite is the actual one we are staying at in a couple of weeks! We are so looking forward to this and have read such great “reports”. Haha! Well, I know they’ll make you feel welcome 🙂 Have a great time!